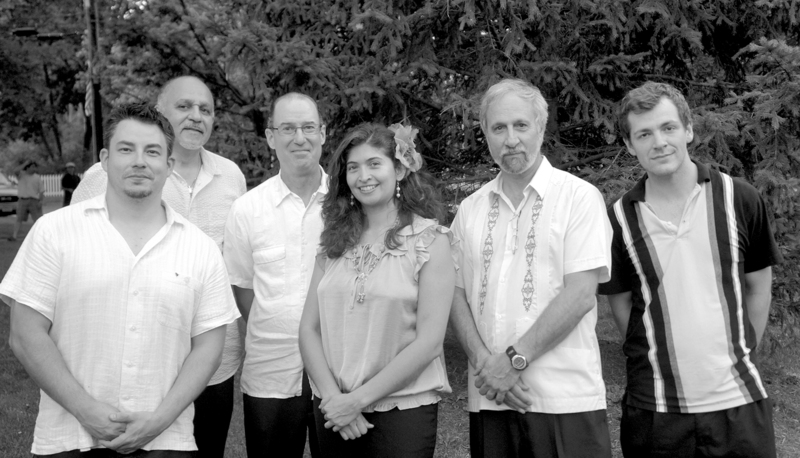 Goza Latin Band's Press Kit includes the ensemble's bio, high resolution photos and logos, personnel list, repertoire, media clips and testimonials. Use the menu below to navigate to the respective section of your choice. You may also download Goza's Electronic Press Kit (EPK) by clicking the button below. This is a PDF file and requires Adobe Acrobat Reader to view. We are pleased to present to you GOZA - an engaging Latin musical ensemble comprised of Connecticut’s most seasoned and versatile musicians. GOZA (Spanish for Joy) performs exciting music and dance rhythms from Latin America, Brazil and Spain with guitar, violin, horns, Latin percussion and beautiful, romantic vocals. Covers include many Latin standards plus music of Jobim, Tito Puente, Gipsy Kings, Buena Vista, Selena, Beatles, Santana, Stevie Wonder, Van Morrison, Guns & Roses and many originals. Goza has performed multiple times at the Mohegan Sun Wolfden, Hartford First night, Wadsworth Atheneum, Elizabeth Park, River Camelot Cruises, festivals, colleges, libraries and clubs throughout New England plus hundreds of weddings and similar functions. Regular performances in the Hartford area include venues such as: Casona, Chango Rosa, La Tavola Ristorante, Arthur Murray Dance Studio and Elizabeth Park.